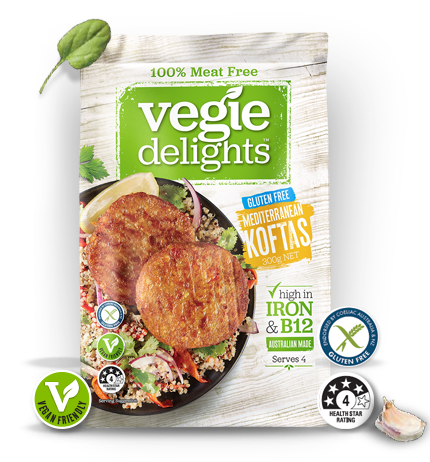 Our gluten-free vegan Koftas are inspired by Mediterranean cuisine and ideal for snacking with dips or as a slider. Pan Fry: Cook from frozen. Place in a shallow pan with a little oil and heat over medium heat for 14-16 mins. Turn over mid-way through cooking. Oven: Cook from frozen. Pre-heat oven to 180°C. Place on a baking tray lined with baking paper and cover with aluminum foil. Cook for 14-16 mins.